Tis the season. To be grilling. And spending maximum non-indoor cooking time. When it gets above 85, our apartment turns into a slow cooker, building over the course of the day to become an inferno by 5 p.m. Using the oven is usually just about out of the question, as is doing laundry, using the dishwasher or taking a hot shower. Those activities are all stored for 5 am when there's a reasonable breeze blowing through the room and we're no longer sweating from just sitting down. We're fortunate enough to have an outdoor BBQ area at our townhome complex and the ranges are often un-used and the entire area uninhabited. People must love to sit inside and bake... The other afternoon we decided to grill some hot dogs and while Ben picked up his relish, ketchup and mustard for his, I decided it was time to get a little more interesting with my own. I'm a HUGE fan of anything summer-Italian - charcuterie, fresh pesto, tomatoes and mozzarella. And while you don't usually see that cuisine meeting all-American hot dogs, I gave it a shot and am obsessed. New go-to for hot dogs! This is perfect for a 4th of July grill-out or party, as hot dog toppings can be endless, varied, and make a great buffet or toppings bar. We toasted our buns on the grill while the hot dogs were cooking. 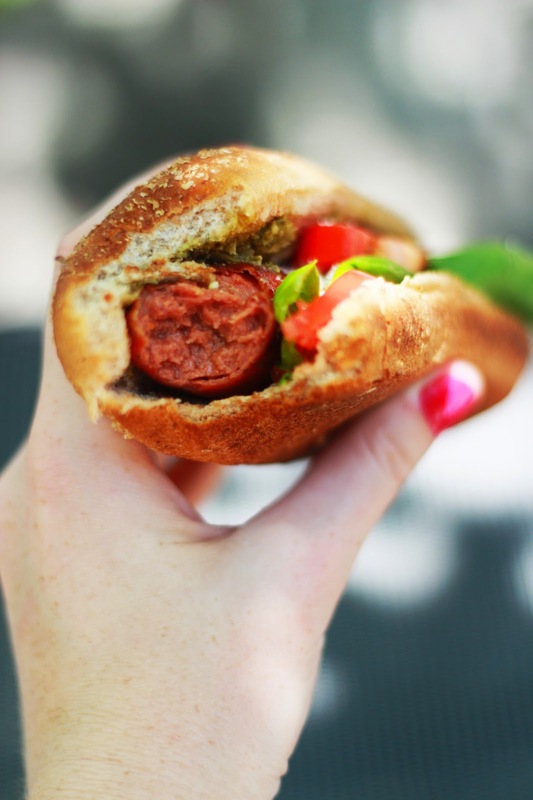 On the toasted bun, spread pesto like you'd spread mustard or ketchup. Add in your hot dog. Top with sliced tomato, fresh basil leaves, grated parmesan. Enjoy with a beer or even a glass of Italian white wine! Sounds really fresh and yummy! Oh man! I have all of these in my fridge. 2nd lunch?? 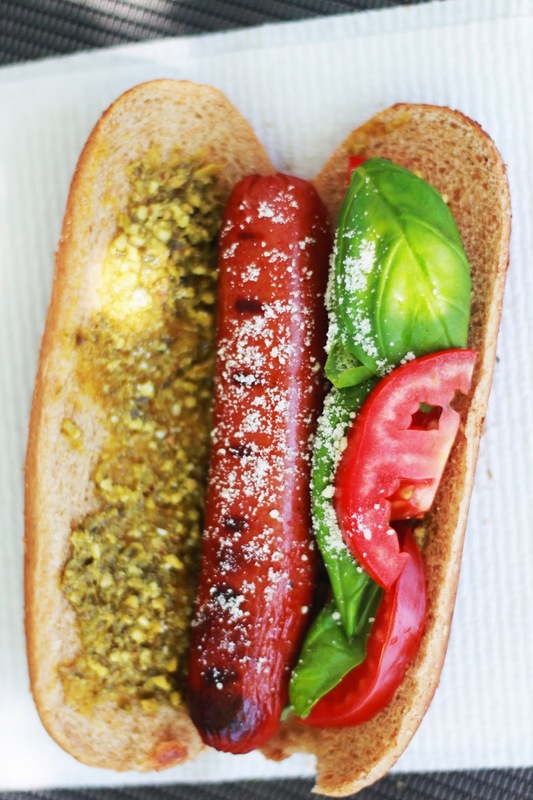 I'm all for untraditional toppings on hot dogs, but I've never tried basil and pesto on one. 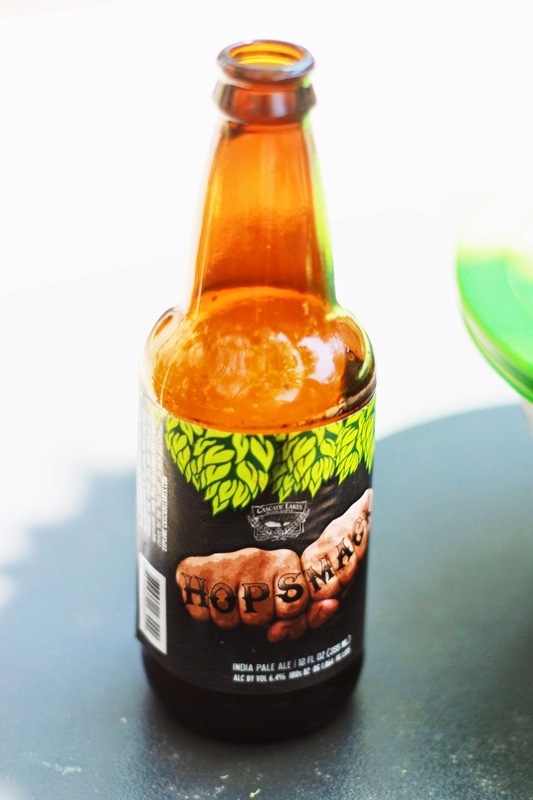 This just made my must-eat list for summer! 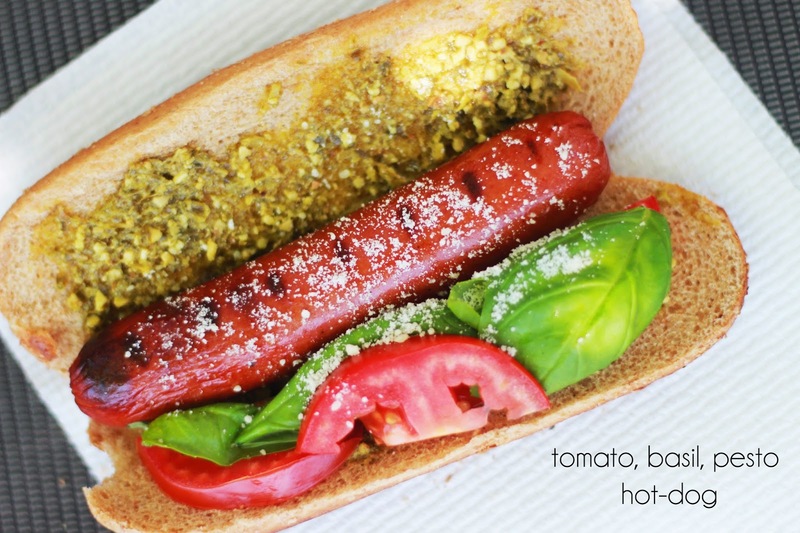 Ooh hot dogs with pesto sound delicious. Love this flavor combo! LOVE that dress - Beautiful and simple for summer! wow. I never would have thought of this combo. Very interesting! I must try and report back. I am pregnant this summer, so comfort is key when picking out my pieces. Thankfully linen drawstring shorts and pants happen to be in right now! This look absolutely delicious! It's a gourmet hotdog! Yum!